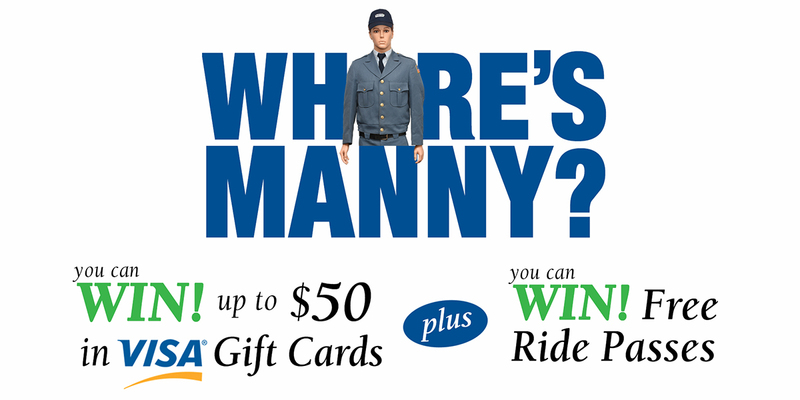 If you’re the first to guess where Manny is along one of our WRTA Fixed Routes, you’ll win a $50 Visa Card. The person who makes the second correct guess will win 10 WRTA Adult Ride passes. Look for our next contest Wednesday, January 30 at 9:00 am on the WRTA Facebook page!